LA CENTER — On Mon., March 27, the ilani casino resort — the $510 million entertainment and gaming facility that will feature 100,000 square feet of gaming space, two entertainment venues, and 15 bars, restaurants and retail shops — announced two of the restaurants that will serve resort patrons. In an ilani news release and a post on the ilani Facebook page, it was announced that the resort will feature a Michael Jordan’s Steak House (in partnership with Cornerstone Restaurant Group) and Line & Lure Seafood Kitchen and Tap. This will be the first Michael Jordan’s Steak House west of the Mississippi River, as the restaurant currently has locations in New York City, Chicago and Connecticut. According to the ilani news release, the steak house — founded by former NBA player and NBA Hall of Fame inductee Michael Jordan — will feature hand-selected, Prime, dry-aged steaks, upscale comfort food and signature cocktails. Michael Jordan’s Steak House will also offer an award-winning list of wines that range from local favorites to international contenders. It will also include a private dining room and an outdoor patio with fire pit. The restaurant will be able to accommodate 306 people. The second restaurant, Line & Lure Seafood Kitchen and Tap, will “bring the best of the local waters to the table.” Developed with the Northwest at heart, Line & Lure will feature regional dishes, local beers, wines, signature cocktails and a fun, festive seafood boil. This restaurant will also include a private dining area and outdoor dining patio with fire pit. The restaurant will have a total dining capacity of 254. Both Michael Jordan’s Steak House and the Line & Lure Seafood Kitchen and Tap will be open seven days a week from 11 a.m.-1 a.m., and both will serve brunch on the weekends. The ilani casino resort is still currently on track to open in mid-April. Future plans at the Cowlitz Reservation site include a convention center and a hotel to complete the casino resort. 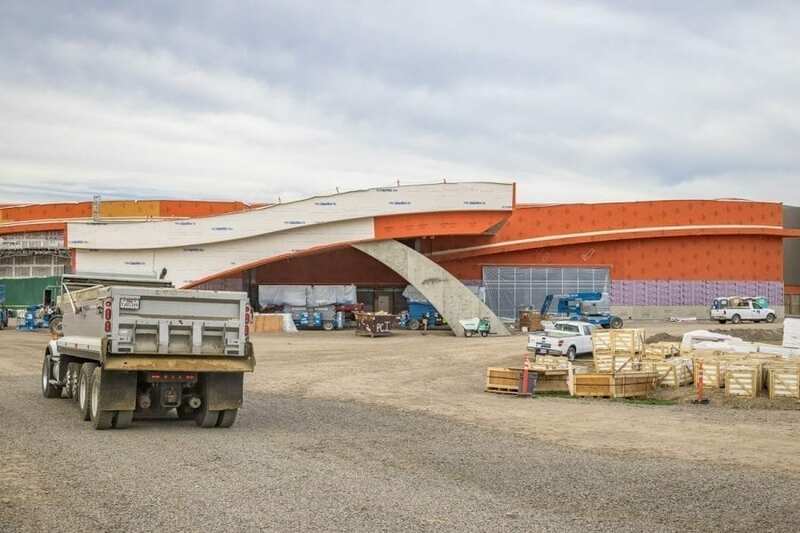 Once it opens, the casino is expected to have 75 gaming tables, five high-stakes tables and nearly 2,600 slot machines. The casino will operate 24 hours a day, 365 days a year. 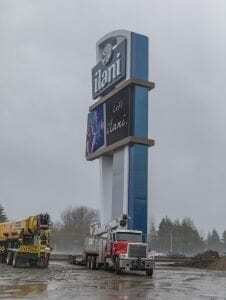 The ilani casino resort is still currently under construction on the Cowlitz Indian Reservation just west of the La Center exit off Interstate 5. For additional information, visit https://ilaniresort.com/ or visit the resort’s Facebook page. This information was provided by the ilani casino resort and from past ClarkCountyToday.com articles by Kelly Moyer.